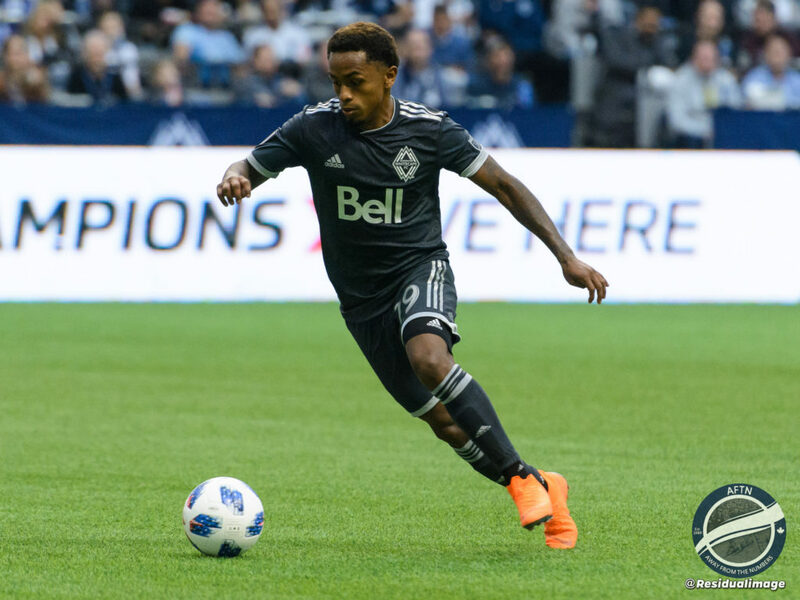 Match Preview: Sporting Kansas City v Vancouver Whitecaps – will the road warriors bounce back or will it be three losses in a row? We are now over a month into the 2018 MLS season, and the Whitecaps have hit a bit of a rut. After two straight victories to open the year the ‘Caps have gone 1-3-1 over their last five, have only scored four goals during that time and have been held scoreless in two straight home games. A punchless 2-0 loss to LAFC was another disappointing outing in a recent run that has included too many of them, and the ‘Caps will have to turn the ship around soon if they want to keep their hold on a top-tier spot in the West. After that brief, one-game homestand against LAFC, the Whitecaps will hit the road again this week, heading to Kansas City for another Friday night tilt. Children’s Mercy Park has traditionally been one of the toughest places to play in MLS, though the ‘Caps have had some recent success there. Last year’s visit ended with a 1-0 Whitecaps victory, which broke SKC’s 24 match home unbeaten run, and was also the ‘Caps’ first ever victory in MLS play in Kansas City. Unfortunately, the ‘Caps won’t be 100% healthy on Friday, as both Kei Kamara and Jordon Mutch are still out with injuries. Mutch is still a week or two away with a hamstring problem, which came at an unfortunate time as the midfielder had looked like he was starting to come into his own before he went down in the wake of the Columbus match. But despite Mutch’s promise, the injury to Kamara is undoubtedly the harder hitting of the two, and he will be out slightly longer than the Crystal Palace loanee due to an abductor strain. Carl Robinson said his targeted return is May 11th (the home game against Houston), which means the striker will miss at least the next three matches. This is a big blow for the ‘Caps, as the 33-year-old has scored or assisted on five of the eight goals the team has recorded this season. His absence will put more pressure on Erik Hurtado, who started against LAFC, and Anthony Blondell, who missed that game with a concussion, to provide a capable attacking threat in Kamara’s absence. Blondell is a very intriguing prospect, and is who I imagine will draw the start on Friday. He has cleared the league’s concussion protocol and is back in full training, so with Kamara on the sidelines he will likely have a sizeable window of opportunity to show why the Whitecaps decided to invest in him. He has only played 102 minutes so far this season – with his lone start coming in the 10-man drubbing at the hands of Atlanta United – so he has not had much of a chance to make an impression. We will likely see a lot more of the young Venezuelan in these next few games, and I am interested to see what he will bring to the table. Defensively, the ‘Caps have been solidly unremarkable, not shipping boatloads of goals but only recording one clean sheet so far. Stefan Marinović is still the unquestioned number 1 goalkeeper, while the backline of Kendall Waston, José Aja, Marcel de Jong, and Jake Nerwinski has remained unchanged for three straight matches. Waston and both the fullbacks seem fully entrenched on the first-choice team sheet, but Aja’s position is probably still a bit up in the air. He’s had some good moments, but Aaron Maund also showed fairly well in the first few matches, and we still haven’t seen Doneil Henry yet, who presumably will have to get some starts at some point. The midfield picture has also begun to solidify, especially with Mutch on the shelf: Felipe has recorded five straight starts, while Efraín Juárez has started all but one match this season. The two question marks in the centre of the park this Friday will be the places of Aly Ghazal and Yordy Reyna. Ghazal made his season debut off the bench against Columbus a couple weeks back, and has been an unused substitute for the last two matches. He will surely make his first start of the season soon, but Russell Teibert (the man most likely to be replaced in the starting lineup by Ghazal) has shown very well to start the year. Since this will be a road game, maybe Robinson will start them both in a very defensive-minded midfield, but who knows? Either way, it will be tough to leave either of them on the sidelines. Reyna, on the other hand, has been a bit of a forgotten man these first few weeks. He hasn’t been able to rekindle the magic he had for much of the second-half of last season, and that has been compounded by him not really fitting into the formations Robinson has used up to this point. He is not nearly as effective on the wing (and the team suffers defensively when he’s played out there), and he has not been able to affect the offense nearly as much when played in a more deep-lying role. He functions best as a pseudo number 10 or a second striker, but when Robinson has tinkered with a 4-3-3 there’s no neat fit for him (and when using more of a 4-2-3-1 or 4-1-4-1, Robinson has been more inclined to use Felipe in the advanced playmaking role). The Whitecaps need to find a way to get the Peruvian going, as the midfield, per usual, is currently suffering from a lack of creative and attacking punch, but the preseason connection he showed with Blondell at least gives some promise that this pairing could be just what unlocks him. With Kamara’s injury and the midfield not providing enough firepower, it has been the wingers that have provided the most joy for the ‘Caps recently. Alphonso Davies has been the team’s most dynamic offensive threat, Brek Shea has potted three goals (all on the road), and Bernie Ibini has shown some flashes when given the opportunity. Cristian Techera, however, has been a disappointment so far this year. He has no goals and only one assist up to this point, and has really struggled to influence the game at the level he was often able to last season. He has also barely played on the road this year, so he will likely be on the bench this Friday. Looking at the hosts, Sporting Kansas City has started off the season great; they’re unbeaten in their last six and have a 4-1-2 record overall, good for first in the West. They’ve been powered by an unusually potent attack: they’ve scored 14 goals in their first seven matches, after only scoring 40 all of last season. Their attacking leader this year has been their newly-signed DP, 27-year-old Chilean midfielder Felipe Gutierrez, who has five goals in five starts. Unfortunately for SKC, he picked up a hip injury against DC United a few weeks ago and hasn’t played since. He was listed as “questionable” for last weekend’s game (a 2-2 draw against Seattle), so we’ll have to wait and see if he plays on Friday. 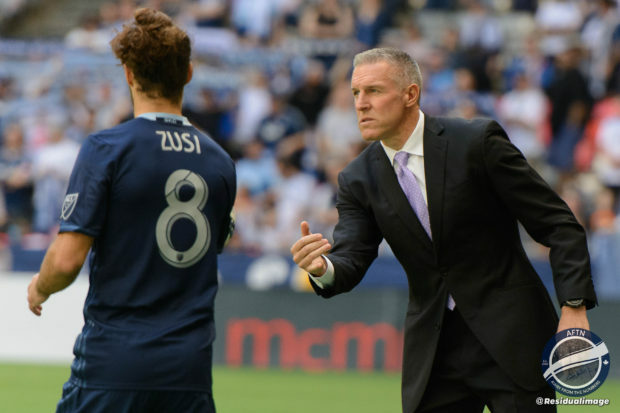 Even without him SKC are tough customers, as they have returned to their stout defensive form after a somewhat shaky start, posting back-to-back shutouts before that Seattle game. 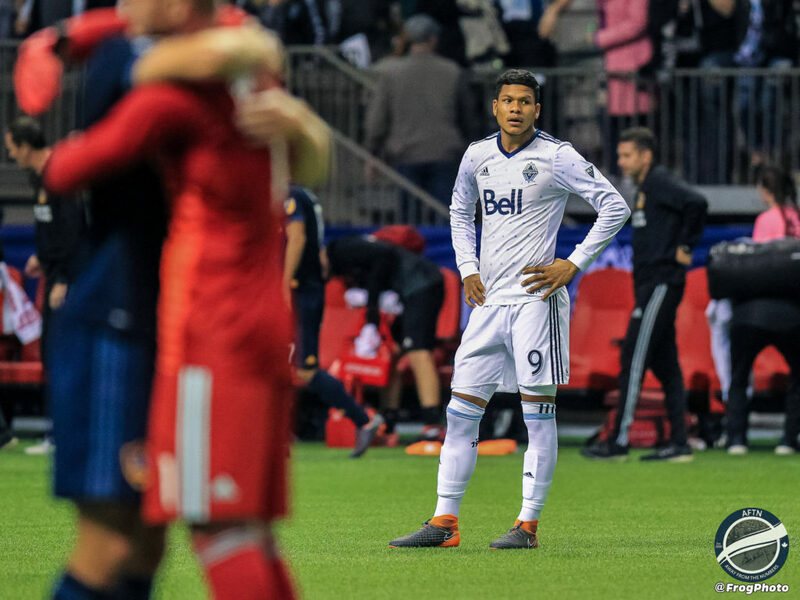 After this match the Whitecaps will return home for yet another Friday clash, this time against Real Salt Lake, who beat the ‘Caps just two weeks ago. That game will be a chance for revenge, but first the ‘Caps will hopefully be able to break out of their slump in Kansas, and return to Vancouver on a winning note. In the latest AFTN preview podcast Joe, Gideon, and Nick preview the SKC match and Michael has a chat with KC’s Scottish forward Johnny Russell.